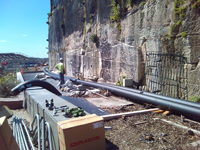 Stormwater, Watermain & Sewermain and associated works for housing projects. 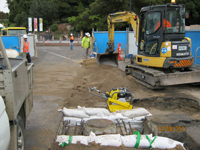 Stormwater, watermain & Sewermain and associated works. Stormwater package and associated works. Stormwater for railway project and associated works. Construction of outlet and other associated drainage works. Construction of stormwater drainage, watermain & Sewermain and associated works.